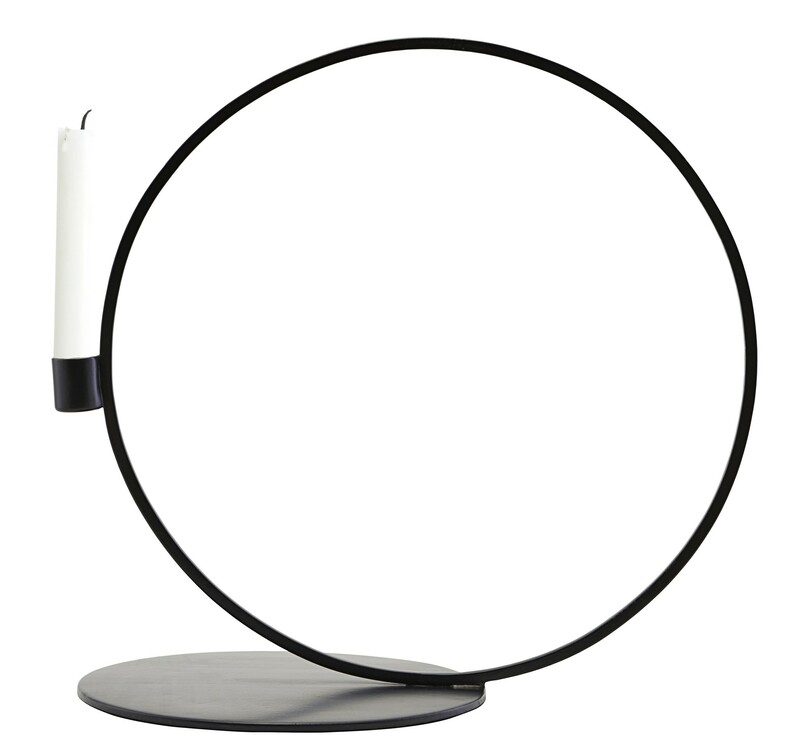 Beautiful round candlestick from House Doctor de Cirque! 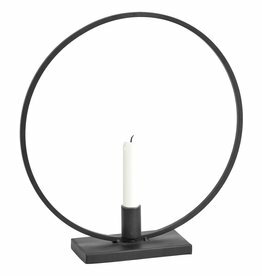 You don't place the candle in the middle of the metal candlestick, but in the candle holder on the side, stubborn design, asymmetrical. 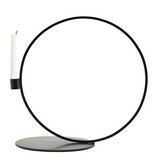 Nice with another round candlestick to place together. 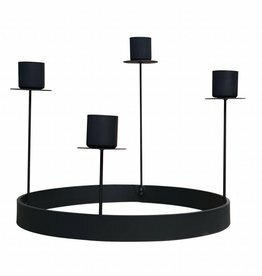 Black, round, metal wall lamp Scudo by Serax. 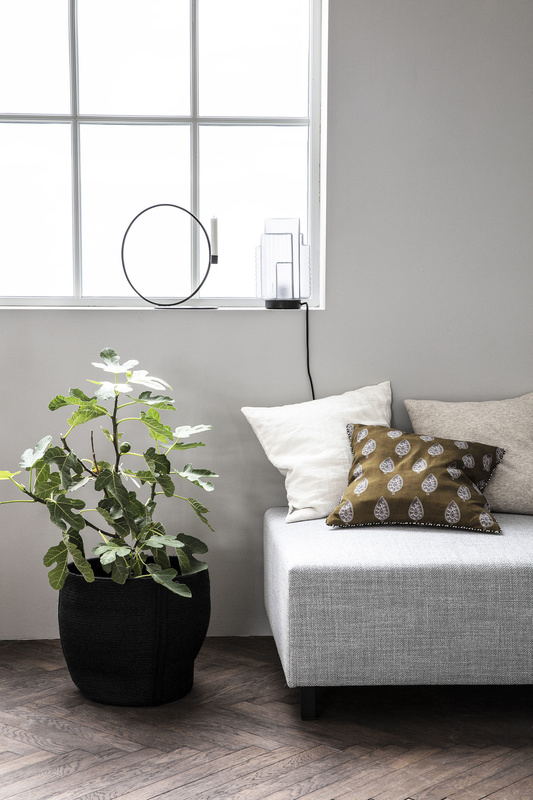 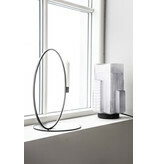 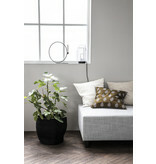 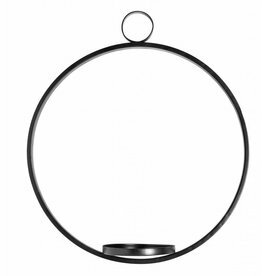 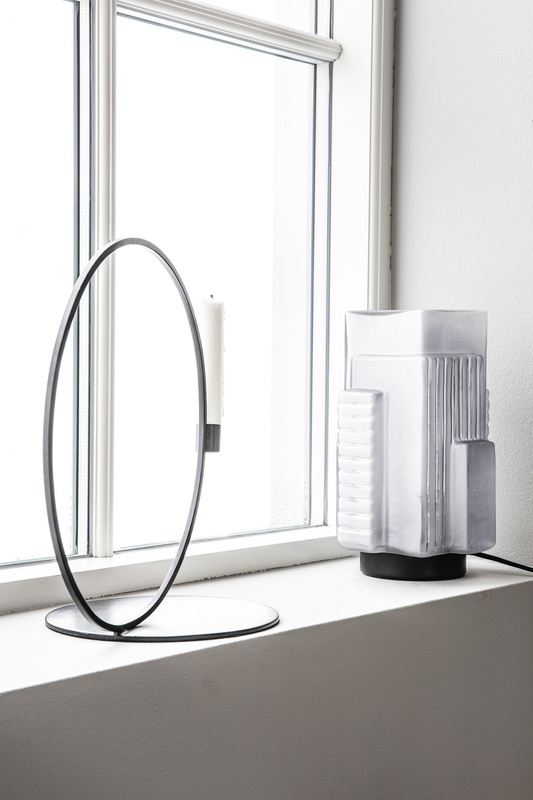 Black metal round hanging candlestick from Nordal.